I've been using Stila for a while, and it's now come into Boots! I've got loads of new Stila products to swatch and show you. The first is this Smudge Pot, which I adore!! 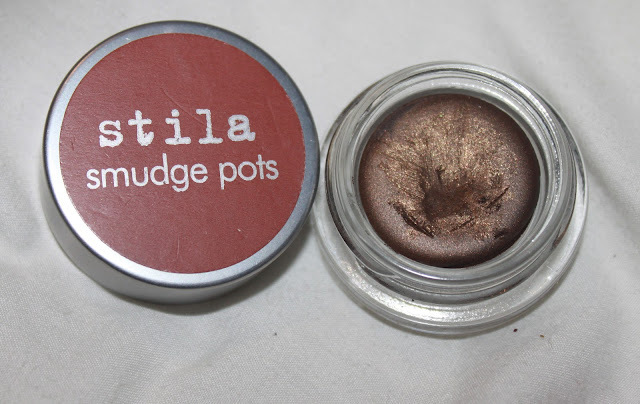 I've had a black Smudge Pot before which has now run out and decided on a change and got the bronze shade. The beauty about these little stunners is that they're so versatile. I've always used them as an all over shadow using my fingers, but they make an amazing eyeliner. These look cute, but they are so strong! 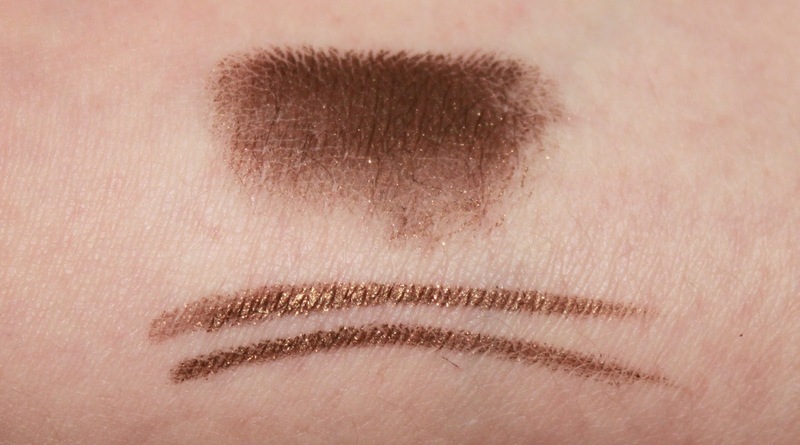 I can wear it as an eyeliner all day and it wont have smudged. This is a winner from Stila. They also have some gorgeous colours, but at the moment you can only get natural colours online here at Boots for £13. This shade is simply lovely, with it's gorgeous golden shimmer, it looks amazing on the lids. I gave this eyeliner a 9/10 due to it's amazing finish, colour and staying power.